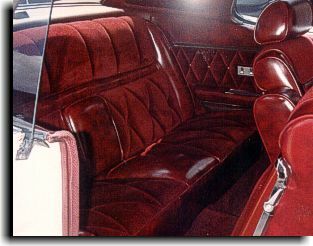 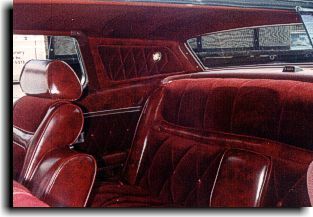 This Lincoln owned by Mr. Keith Cassidy of Tampa, FL was a major project for Catalina Custom. 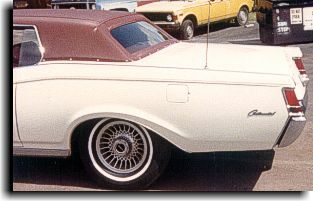 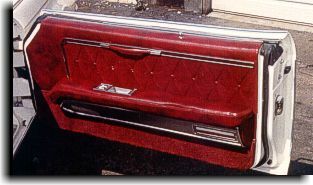 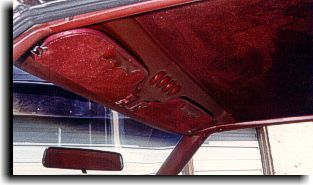 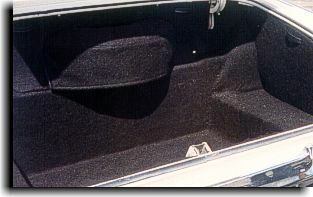 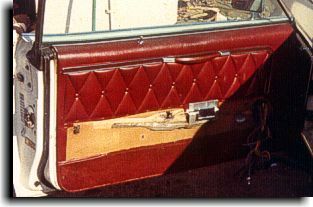 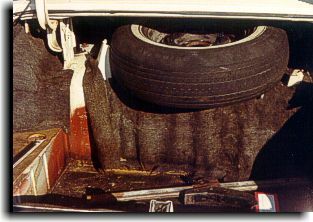 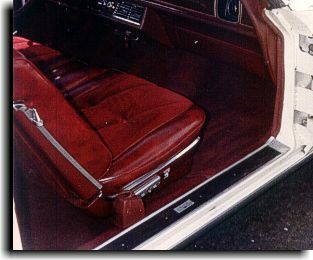 Along with a complete interior and trunk, the owner requested that a new vinyl top be constructed resembling a convertible top. 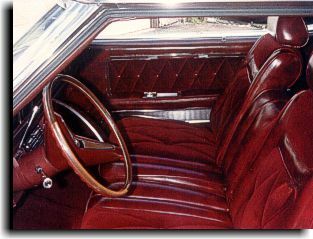 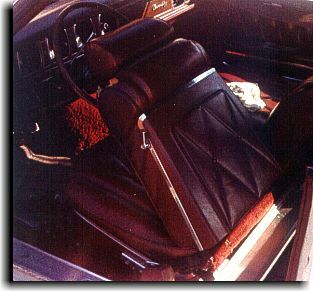 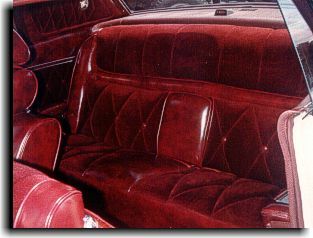 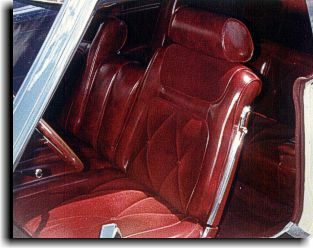 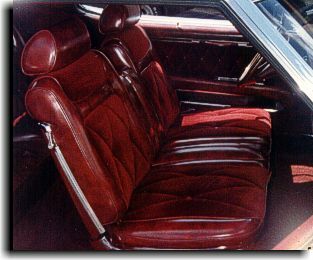 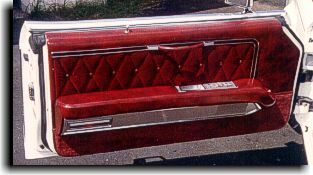 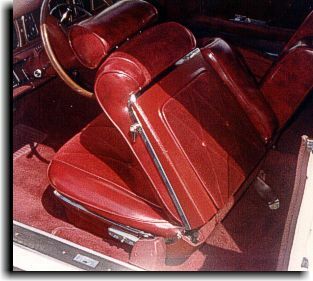 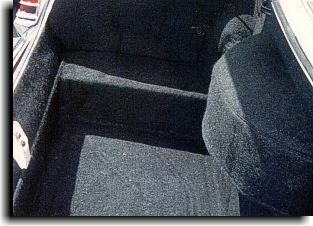 Finished interior sewn back with the original sewing design using a maroon velour for seat and door panel inserts and headliner. 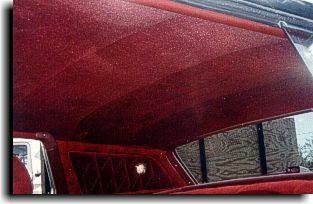 A custom maroon Naugahyde with a black shadow effect was used for the trim along with a nice maroon extra heavy nap cut-pile carpeting for the flooring.